Connected Data has introduced the second version of its private cloud storage device, Transporter 2, and is hoping to cash in on those users who have been put off by public cloud outages. 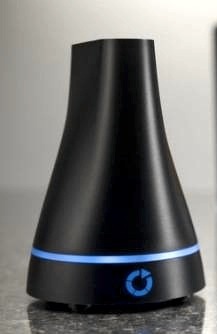 This is a file sync 'n' share product with a difference; instead of files being copied from your computer to a public cloud service (Box, Dropbox, etc) or to an enterprise's data centre in a private cloud service (EMC Syncplicity), the Transporter is an on-premise, internet-connected 2TB storage device, peer-to-peer connected to other Transporters, sharing and syncing files between them. There's no exposure to the public cloud and it can be used by consumers and business users without needing a central data centre. Transporter private cloud storage device. Cleaner, Dropbox-like interface - drag and drop files to Transporter folder to get then copied and synced to other Transporters and computers in your network. Share files by sending recipient a link to a file. Transporter device's own storage can be used as a separate library folder, synced with other network Transporters, but files are not copied to your own computing device – good for capacity-limited mobile phone and tablet users. Transporter contents are getting better access "to ensure that you will be able to connect to and access your Transporter almost anywhere." You can find out more in a Transporter 2 Knowledge Base article.